Even in the digital age filters have an important role. Here are a few updates that might be of interest to you. Think of this like a supercharged UV filter. When working outdoors, UV and IR rays just outside the visible spectrum can "pollute" our images. 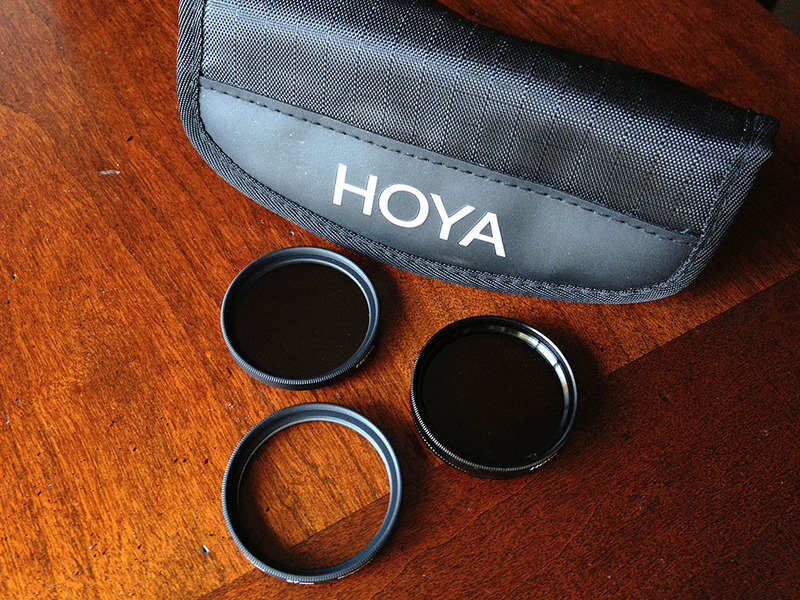 This Hoya filter allows only visible spectrum light rays to enter the camera. You can leave it mounted all of the time, letting it serve as protection glass. But its filtering effects will be most noticeable outside for landscape photography. Available sizes range for 49mm to 82mm. They're not cheap though. The 58mm UV and IR Cut Filter will run you $107 at B&H. It might be worth it for serious landscape shooters, however. Just because the lenses are smaller, that doesn't mean that they still don't need protection or could use the occasional polarizer or ND filter. Here's a nifty collection called the Hoya 37mm Digital Filter Kit that includes a multi-coated UV, and single coated polarizer and 3-stop ND filter. The three filters are housed in a handy filter pouch that fits just about anywhere in your camera bag. I bought one of these to share for my Olympus 14-42mm, 17mm, and 45mm lenses. At $59 it won't break the bank, but it might save the front of your lens. Have you wanted a variable ND filter to shoot at wide apertures in bright light, but didn't want to spend $200 or more? 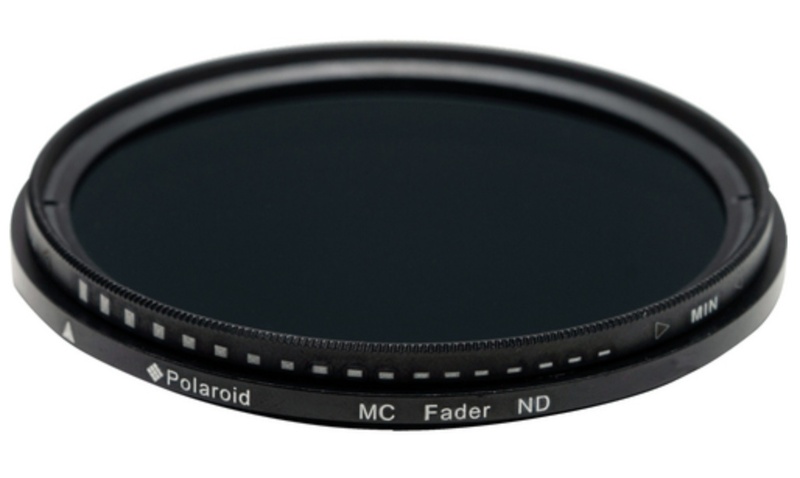 Take a look at the Polaroid 58mm Neutral Density Fader Filter for $35 (58mm). It provides variable exposure from 1.3 to 8.6 stops, and it's multicoated too. Now you can shoot those waterfalls in bright light, soft focus background portraits at the beach, or dramatic video footage just about anywhere. Polaroid makes 12 different sizes, and all of them run less than $50. It would be of value to link to a spec sheet for the cut filter showing wavelength cutoffs rather than just a buying link. As an IR shooter this would be of the most interest. I have been looking for a variable ND and/or an ND400 filter for my Nikkor 16-85mm lens. At $39 the Polaroid is definitely worth a try. I have ordered the filter and will give it a field trip in a couple of weeks on a drive down through the Smoky Mountains. Your post was very timely - thanks for the recommendation.